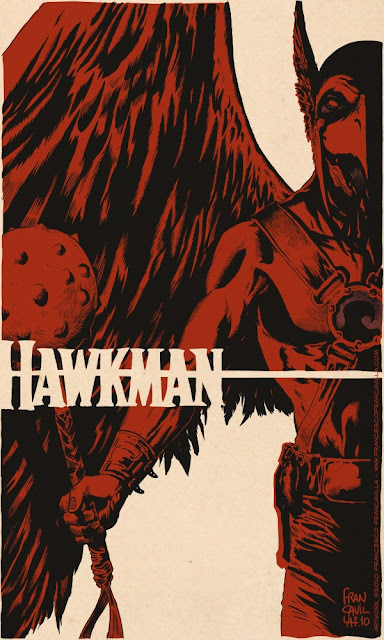 I've pimped Comic Twart before on IADW, but now the website where a group of illustrators render their own respective takes on a different pop character each week, has just picked it's first ever super-hero subject; Hawkman (Sorry Wolverine). Hawkman was one of the four folk I considered doing a 'character blog' on, before running with the rampage of random ravings that is IADW. (The others? Aquaman, The Thing and Adam Strange).